The Roman statesman, philosopher, and playwright Lucius Annaeus Seneca dramatically influenced the progression of Western thought. His works have had an unparalleled impact on the development of ethical theory, shaping a code of behavior for dealing with tyranny in his own age that endures today. This companion thoroughly examines the complete Senecan corpus, with special emphasis on the aspects of his writings that have challenged interpretation. The authors place Seneca in the context of the ancient world and trace his impressive legacy in literature, art, religion, and politics from Neronian Rome to the early modern period. 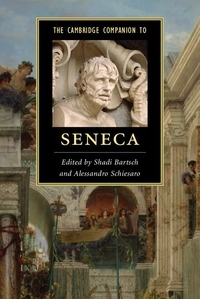 Through critical discussion of the recent proliferation of Senecan studies, this volume compellingly illustrates how the perception of Seneca and his particular type of Stoicism has evolved over time. It provides a comprehensive overview that will benefit students and scholars in classics, comparative literature, history, philosophy, and political theory, as well as general readers.